Delicious, all Italian woodfired pizza made on or off location at your next event. E 'un po' di fantasia! 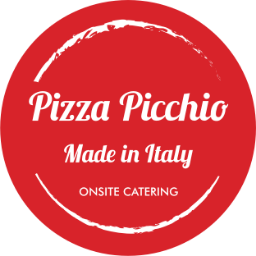 Pizza Picchio are a mobile all Italian woodfire pizzeria catering to all functions and events across the Sydney Metro area. Our unique yet classical Italian woodfired pizza menu crafted by our Italian family made for you and your guests. We bring our mobile woodfired pizzeria to your next event and make our pizza on location. Fresh, hot and delicious guaranteed. Flavour rich all Italian quality, with our experience and knowledge to make our range of woodfired pizza’s irresistibly the best. From parties, corporate events, festivals and fairs we’ll bring our woodfired pizzeria and our unique touch of Italy to your next event. See our delicious woodfired pizza and our all Italian menu that compliments your next event. From parties, corporate events, festivals and fairs we cater for virtually all event types. Call 0427 349 681 for all catering and event enquiries. Pizza Picchio covers Sydney & it's Suburbs. All event types catered for.